Clustered around my laptop (with handy portable speakers), filling in the blanks of a Halloween song’s lyrics. Last year, with the help of the dorm committee at my school, I facilitated a Halloween party on one of my school’s campuses, with all of the students in attendance. This year, I celebrated Halloween on a much smaller scale, but it was still a ton of fun. 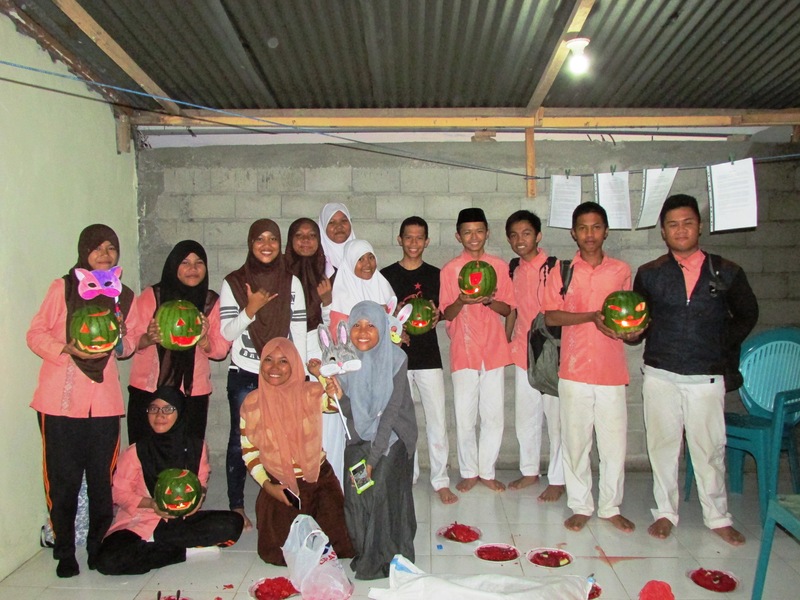 I focused my Halloween activities on my English Club. The English Club at my school meets twice a week, with some students attending only one day, and others attending both, depending on their schedules. 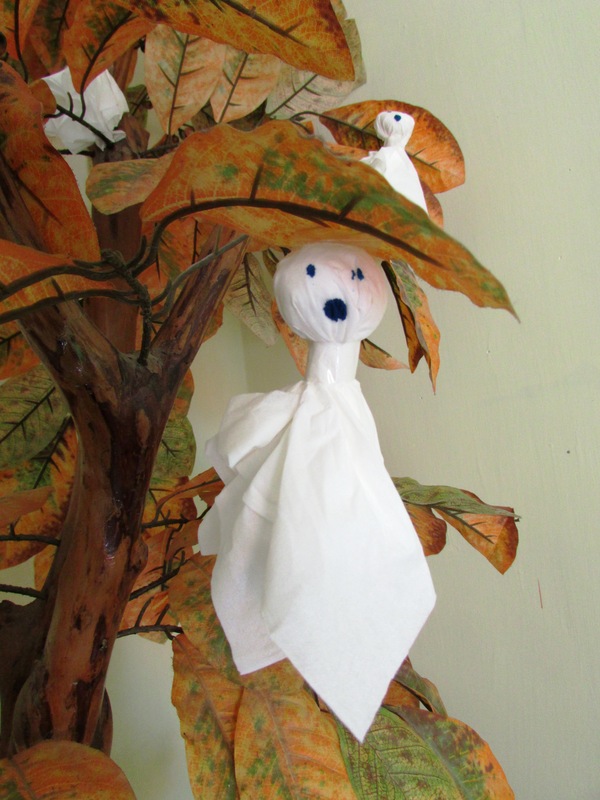 My house was invested by hantu imut (cute ghosts) for Halloween. The second day I invited students to my house for a Halloween Party. 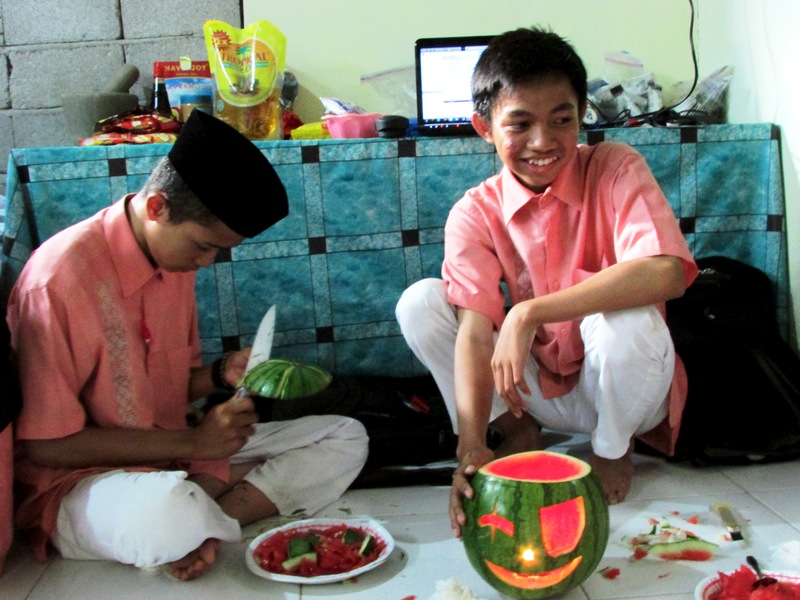 We carved Jack-o-Lanterns out of pumpkins, made sometimes-spooky-but-more-often-adorable masks, listened to Halloween songs and the pop songs my kids are obsessed with, chatted (in English at first, but more in Indonesian as the party went on, as English Club so often goes), ate far too much candy, and laughed just the right amount. I have attended a few varied Halloween events in the States over the years, and I’m sure I will attend many more when I eventually return. But I don’t know that any Halloween party I have attended or will attend could every compare to the festivities I have had here. There is something so magical about students’ joy at their first Halloween Party that I don’t think could be reproduced anywhere else. Try as they might, they just can’t stay spooky for long. “I will never forget this… happiness, Miss,” said one of my students as she left my house (well after sunset, because Halloween is a special occasion and you don’t kick kiddos out of your house when English Club is technically over). Nor will I, sayang. Nor will I. About half of the students who participated in the Halloween Party (some had to head home before this photo was taken).